Plot: A fifty-year-old prostitute, no longer able to attract men, looks back on her life. 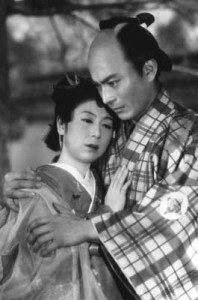 Once a lady-in-waiting at the imperial court at Kyoto, Oharu fell in love witha man below her station. They were discovered, and Oharu and her family were exiled.